The Mid-America Transportation Center, a consortium of academic institutions led by the University of Nebraska-Lincoln, will lead a five-year, $13.75 million federally funded research center to improve transportation safety in Nebraska and neighboring states, with an emphasis on challenges facing rural areas and underserved communities. Nebraska’s Mid-America Transportation Center was named the Region 7 University Transportation Center after a competitive process. The center is funded by the U.S. Department of Transportation through the Fixing America’s Surface Transportation Act. The FAST Act, passed by Congress and approved by President Obama in 2015, increased funding for 35 university transportation centers and was the first federal law in over a decade to provide long-term funding to improve the nation’s transportation infrastructure. 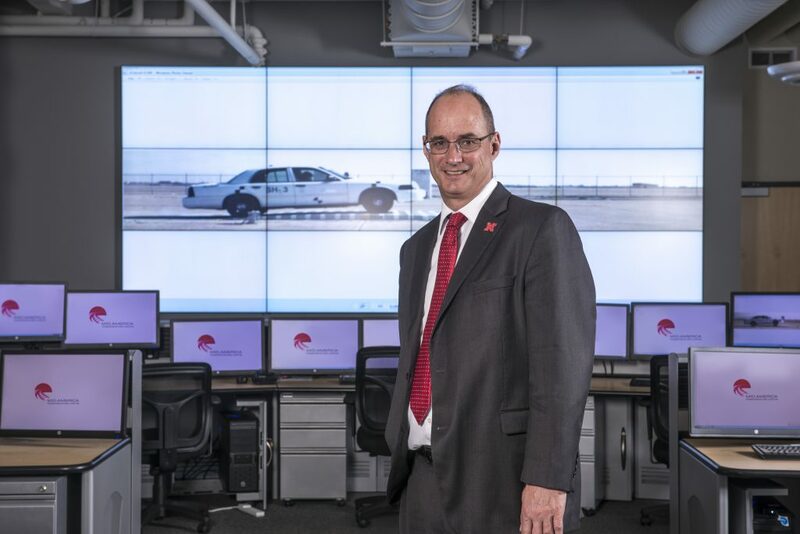 “This grant confirms our regional leadership in transportation research and will enable us to develop solutions and products to improve safety in an industry that is an important driver of economic growth in our state,” UNL Chancellor Ronnie Green said. Laurence Rilett, MATC director, said receiving university transportation center funding enables the MATC consortium to leverage its track record of success in transportation research and education to improve safety in the four Region 7 states: Nebraska, Iowa, Kansas and Missouri. MATC is housed in the university’s College of Engineering. Its partner institutions include the University of Iowa, University of Kansas, University of Kansas Medical Center, Missouri University of Science and Technology, Lincoln University and Nebraska Indian Community College. The consortium also has partnerships with numerous private- and public-sector entities, including a longstanding relationship with the Nebraska Department of Roads. The states in Region 7 are at the crossroads of the nation’s roadway, railway and waterway systems and consistently rank among the top 10 states nationally in total freight movements. Additionally, Nebraska and its neighbors have challenges related to climate, stressed infrastructure and demographics. The effect of extreme weather, especially flooding, is one. Increased freight traffic in rural areas, especially from trucks carrying large volumes of hazardous waste materials, is another. Rural roads bear the brunt of wear-and-tear from heavy vehicles, yet local governments have fewer financial resources to keep up with repairs. Rilett said these conditions create “a perfect storm” for public safety when the unexpected happens, like when flooding causes a bridge collapse or when a tanker crash causes the release of hazardous materials such as chlorine gas or anhydrous ammonia. To successfully address these complex challenges, MATC will take a highly collaborative, multidisciplinary approach. More than 40 researchers from five UNL colleges will partner with their colleagues in the MATC consortium to develop tools for reducing the number of crashes and mitigating the impact of natural and human-caused disasters. The goal is to make significant improvements in safety for users of the transportation system, transportation workers and the public. The research team also will address the needs of historically underserved populations – Native American tribal areas and urban minority communities – that are at greatest risk in human-caused or natural disasters. MATC researchers will collaborate on a number of initiatives aimed at: measuring transportation workers’ cognitive and visual fitness, especially those who handle hazardous materials; improving real-time networks for communicating about hazardous materials incidents; developing a crash barrier for freight trucks; creating disaster relief protocols for at-risk communities; reducing the risk of transporting hazardous materials; improving bridge design guidelines; and creating smart tools for measuring bridges’ structural capacity after catastrophic incidents. “At the end of the five-year project, our goal is to have a suite of products that promote safety and lead to measurable safety improvements in these communities,” said Rilett, the Keith W. Klaasmeyer Chair in Engineering. For example, research-based solutions for floods could include a real-time flood forecast mapping system to warn drivers which roads to avoid. Additional monitoring tools could provide critical data on bridges’ load capacity after waters recede. Since 2006, MATC has received nearly $30 million in funding through USDOT’s university transportation center program, with $14 million coming from federal sources. In addition to working closely with consortium members, MATC utilizes additional expertise from the University of Nebraska Medical Center and the University of Nebraska at Omaha, which offer expertise in public health evaluation and information technology, respectively.